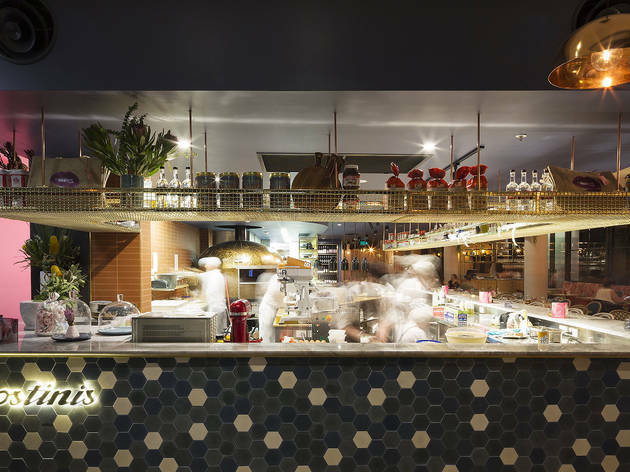 Big on flavours and vibe, Canberra’s newest Italian joint may be attached to a hotel, but it’s the locals who keep the place packed. 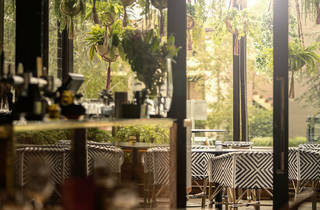 At over 200 seats, Agostinis is bigger than your average ACT haunt, but the restaurant’s three distinct dining spaces – including a plant-filled, heated outdoor terrace – give the venue a sense of proportion. 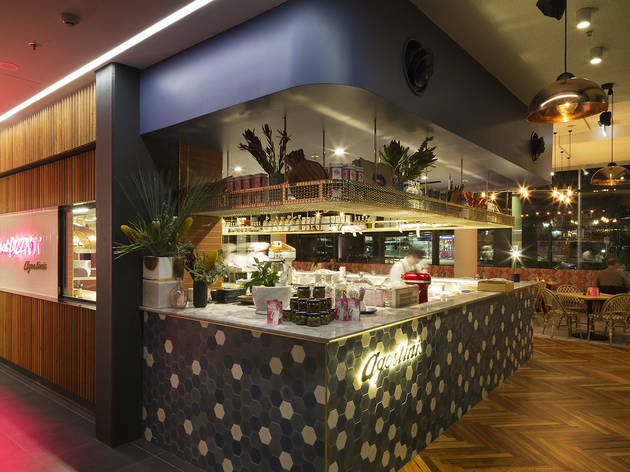 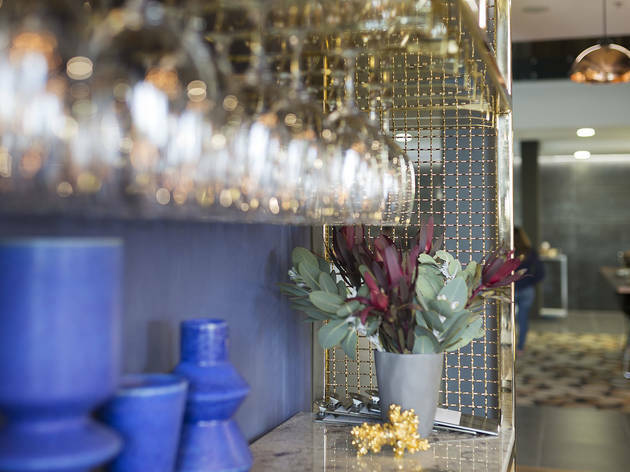 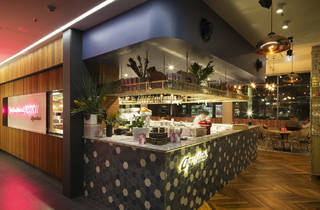 The design is quirky – leopard print booths in one corner, wallpaper printed with bright pink fans lining another, while cappuccino and millennial pink ropes dangle from the ceiling, offering a double-whammy of looking cool and contributing to noise control. 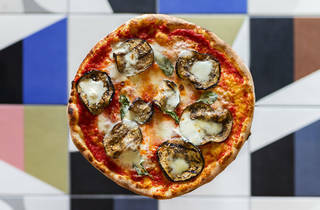 The menu, by chef Francesco Balestrieri, is all about housemade pasta and pizza cooked in a gloriously fire-powered Marana Forni oven. 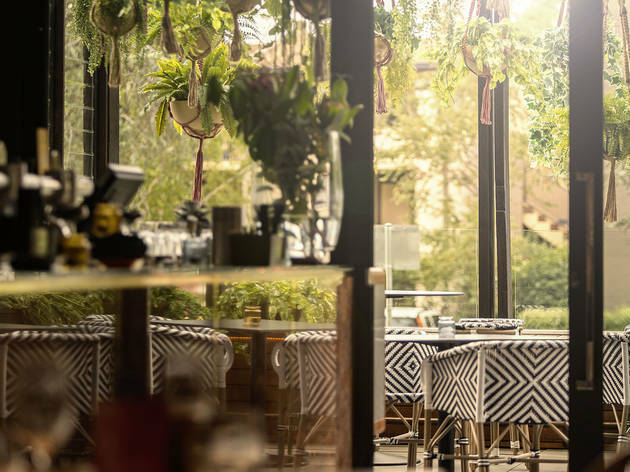 The food fuses elements of Balestrieri’s Roman background with specialties from Friuli, region of the restaurant’s owners, the Bisa family. 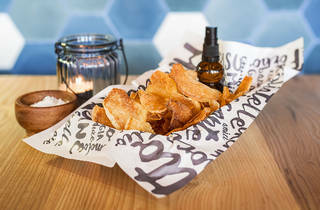 The frico – a Friuli specialty – is unmissable. 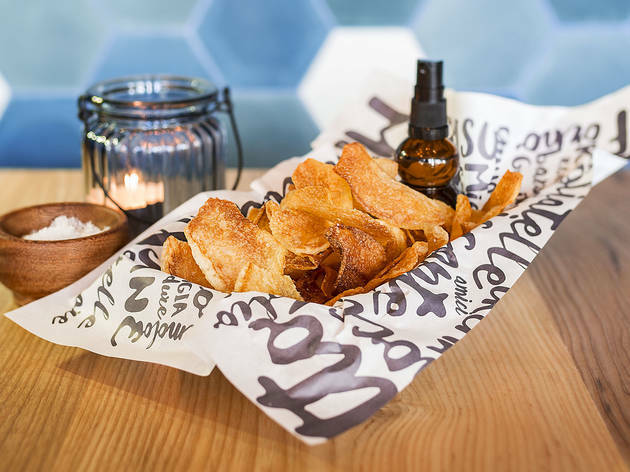 Cooked in the pizza oven, it’s a little like a potato rosti – bitey cheese melted into pleasingly firm, thinly sliced potato with a perfectly crisped bottom. 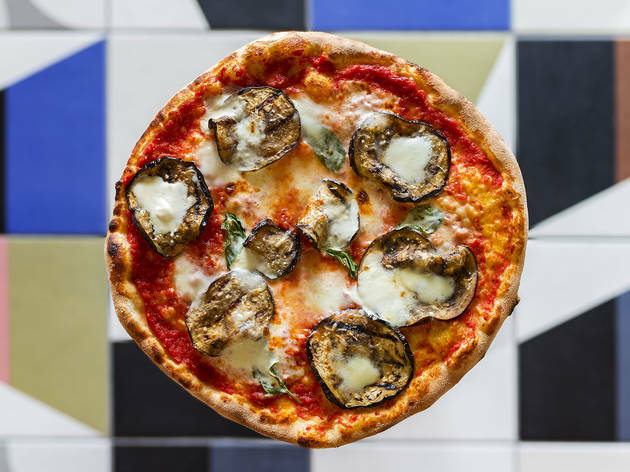 The Salsiccia pizza, which mixes spicy ’nduja with fennel-spiked Italian sausage made specially for the restaurant, is also a stand out. 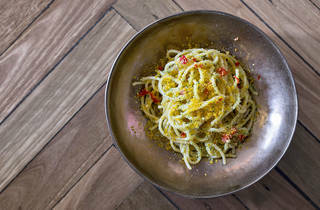 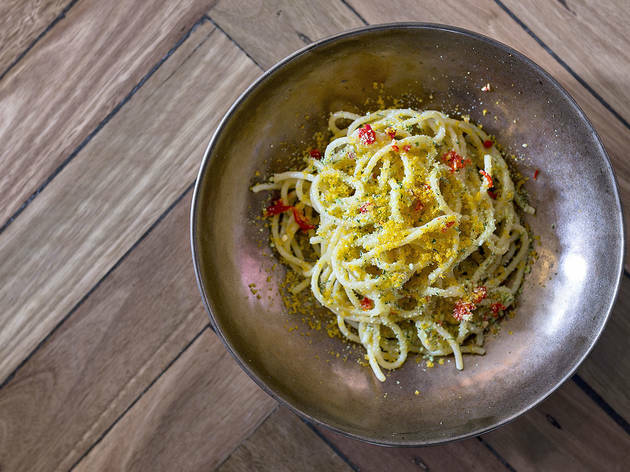 As for the pasta, order the tonnarelli alla bottarga – strings of pasta slightly flatter than spaghetti coated in complex, oceanic bottarga (a kind of dried fish roe), underscored by a fair whack of garlic and a hint of chilli. 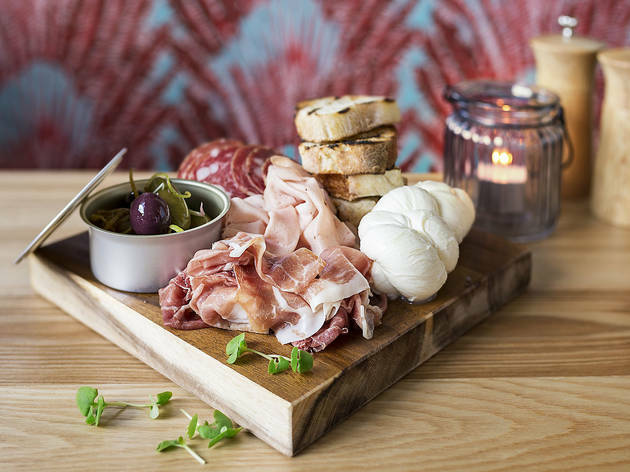 Wash it down with a glass (or bottle) of Canberra region winery Helm’s riesling: it’s fruity and acidic enough to perfectly cut through cheesy, chilli-spiked Italian fare, but without any unwanted sweetness. 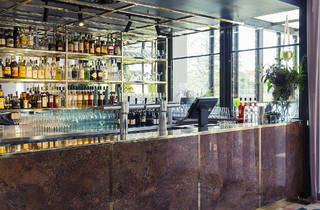 The atmosphere changes quickly here. 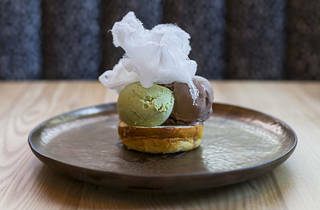 The early seating is packed with families digging into handmade lasagna and an exhaustive dessert menu that includes gelato and brioche sandwiches. 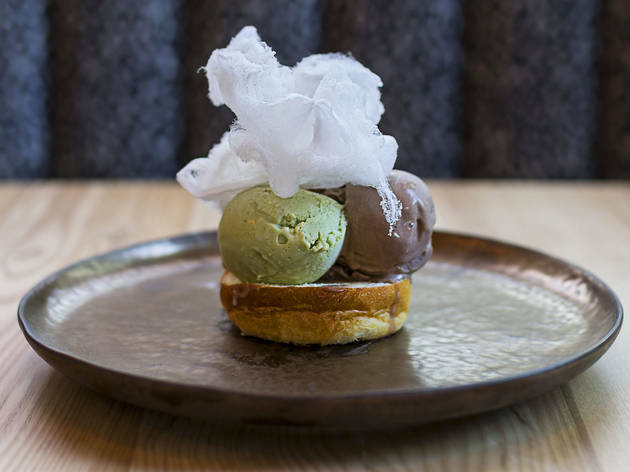 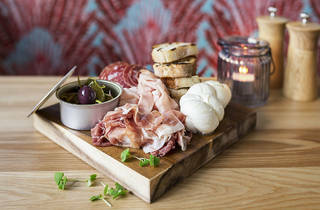 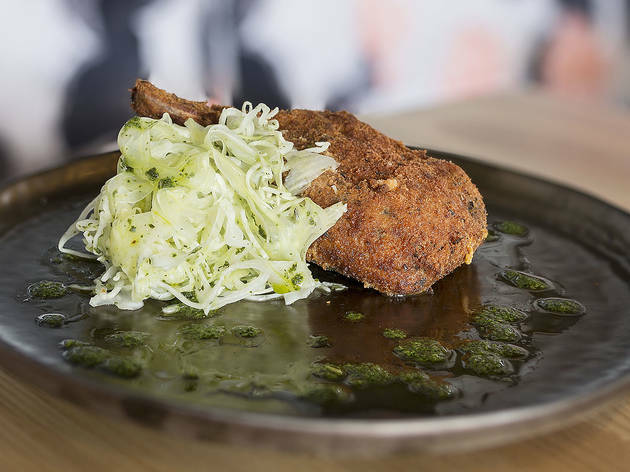 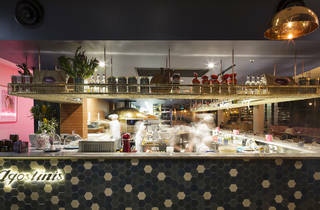 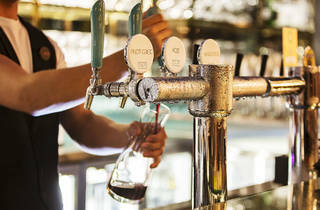 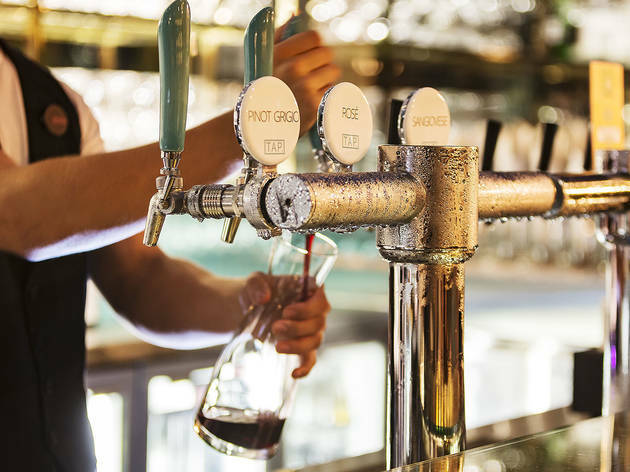 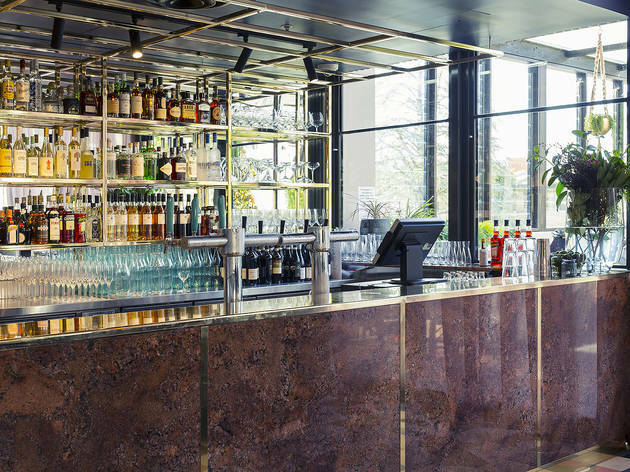 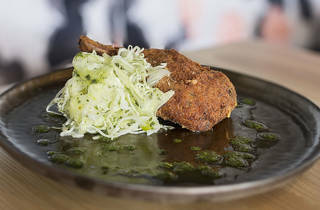 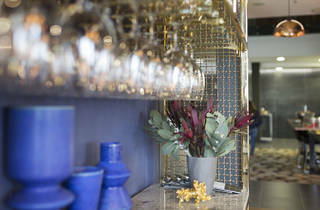 After eight, a hipper crowd filters in to order from the well considered list of Canberra region and Italian wine – including a few drops on tap – while they mix comfort carbs with veggie-heavy sides.